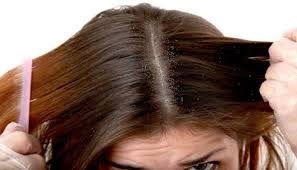 Dandruff is a condition affecting the scalp, wherein the old cells of the scalp are replaced by new cells at a faster rate than normal, leading to a flaky appearance of the skin, followed by itching. Though the exact cause of dandruff is not yet known, scientists speculate that poor hygiene and several other factors may contribute to its development. Let’s take a look..
• Yeast Sensitivity- Many people are sensitive to yeast-like fungus called malassezia, which is why, they might experience dandruff problems in the winter months. • Dry Skin- An excessively dry scalp can also contribute to dandruff. The cold winter air and other extreme climatic conditions can aggravate the condition. • Skin Conditions- People suffering from psoriasis, eczema and other skin conditions are more likely to suffer from dandruff. • Seborrheic Dermatitis- Seborrheic dermatitis is a condition that affects not just the scalp, but also eyebrows, sides of the nose, breastbone, back of the ears and many other parts of the body. A patient suffering from this condition is more likely to suffer from dandruff. • Allergic Reaction- People having sensitive skin can develop rashes, itching, irritation and even dandruff on exposure to certain chemical products such as hair dyes, shampoos and conditioners. Other Factors- Several other factors including stress, deficiency of certain essential nutrients, and certain diseases can also cause dandruff. Yogurt Power: Yes! You read it right! 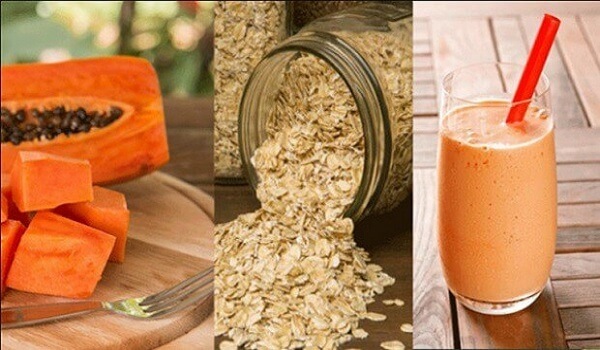 This amazing probiotic is actually good for your hair too! Washing your hair too frequently, or using harsh chemical shampoos and conditioners on your sensitive scalp can rob it of its natural moisture, causing flakiness of the scalp and finally leading to dandruff. Yogurt can act as a good moisturizer, and can restore your scalp’s lost moisture. Right after shampooing, apply fresh yogurt directly onto your entire scalp and leave on for 10-15 minutes and rinse. Brush: It is believed that brushing your hair right after a shampoo can help curb dandruff problems. Brushing hair is thought to improve blood circulation in the scalp, thereby promoting hair health. It also helps distribute the naturally occurring oil in the scalp more evenly, reducing dryness of the scalp. Apple Cider Vinegar: You’ve used it in your dishes, and for your acne breakouts. This nature’s wonder seems to work on anything and everything. Apple cider vinegar, with its alkaline nature, keeps away fungi that may breed on your scalp and cause dandruff, making it a wonderful home remedy to curb dandruff naturally. Just rinse your hair as you normally would, and then rinse all over with apple cider vinegar, and then follow with water. Coconut Oil to the Rescue: Coconut oil is one of the best and widely used home remedies to cure dandruff. It restores the natural moisture of the scalp and prevents dryness and flakiness-both of which contribute to dandruff. Just massage warm coconut oil gently onto the entire scalp, leave it on for an hour, and then rinse. Fenugreek Seeds: Believe it or not, fenugreek seeds can be a good natural anti-dandruff agent. Just grind a handful of fenugreek seeds roughly and soak them in water overnight. Strain the water the next day, and use it as a rinse. Tea Tree Oil: Tea tree oil is known for its cooling, soothing properties. Also, because it is an oil, it helps moisturize and nourish the skin naturally. If you do have tea tree oil, apply it directly onto your scalp, leave on for a few minutes and then rinse. Alternatively, you could also try using shampoos that have tea tree oil as an active ingredient.